The Phoenix ethanol modern fireplace looks absolutely stunning as its design provides a unique touch in any atmosphere. 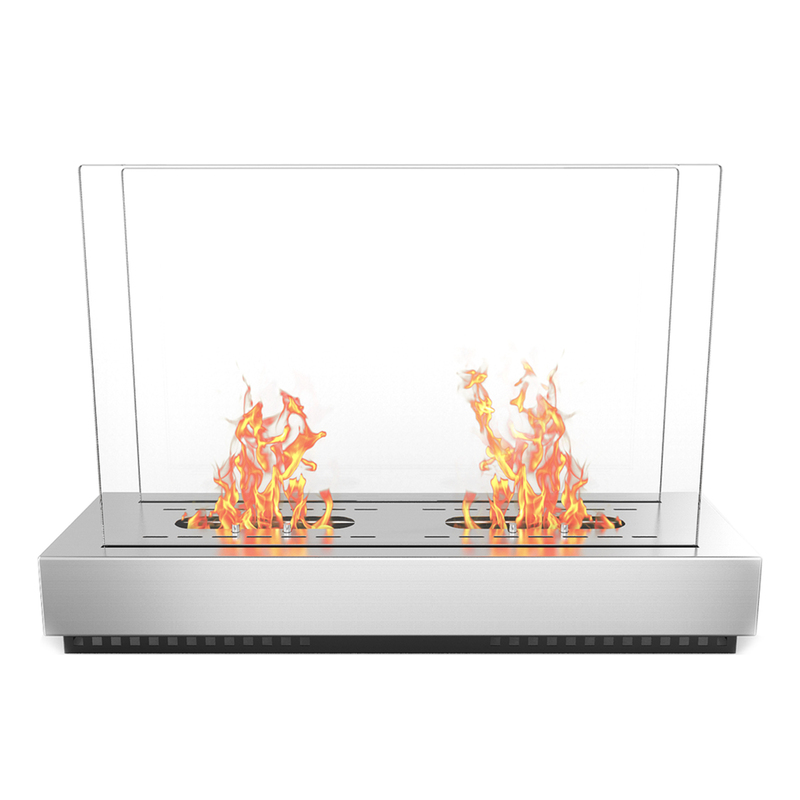 With a solid steel base and two tempered glass sheets on each side of the burner, the Phoenix is well prepared for both indoor and outdoor enchanter. This free standing fireplace not only looks great but puts off a great amount of heat. Perfect for those cold, snowy days. I would highly recommend this unit. Our family loves to spend time in the family room since the addition of this fireplace. Its free-standing and vent less which is great as it requires relatively no maintenance. This is a good addition to any home. 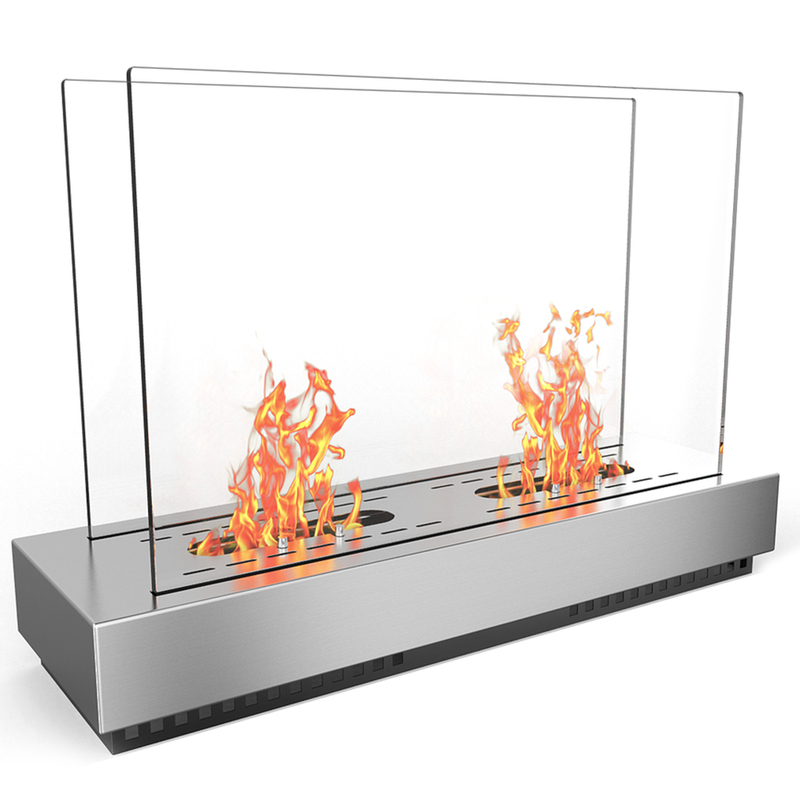 The quality of this free-standing fireplace is very well crafted. The glass is thick enough to protect from the flame, but does not take away at all from the flame. The stainless steel has a strong solid base. My wife and I are very impressed with the ease of using this unit. Made a perfect gift for a friend! I love that this fireplace includes protective glass especially with little ones running around all the time!